Truckers: What Should Be on Your Resume? With the current shortage of drivers in the trucking industry, you may be thinking that you can merely snap your fingers and you’ve got yourself a gig. Perhaps. But is the job you really want? Does it have the hours you want? Does it have the pay you want? 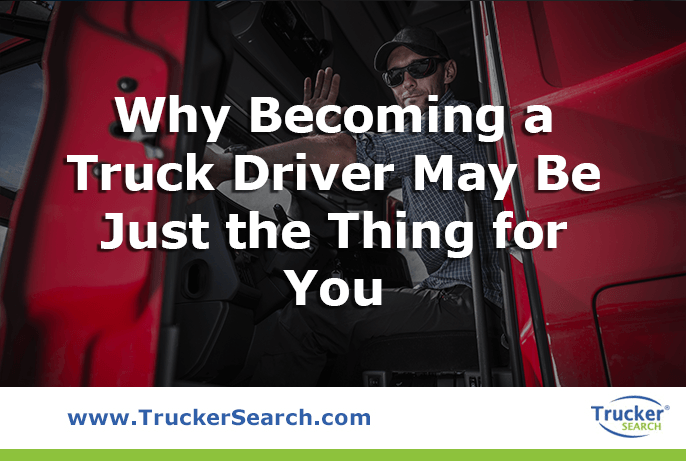 The truth is, it may not be that difficult to land a job as a trucker right now but these are typically the lower-paying jobs that few really want. The jobs that have high pay and good benefits are still highly competitive and if you want one of those jobs, it’ll take some work that includes a good resume. Will my resume rise to the top of the pile? They say that you can’t judge a book by its cover and while this is true, it’s often the cover that catches our eye and prompts us to pick up the book and read the back to see what it’s about. This is what the style of your resume is for. A plain black and white list of your accomplishments, no matter how outstanding you may think they are, will be lost in a sea of other plain, black and white lists of accomplishments. Use color but very little and don’t use anything too bright. Dark blue, hunter green, or grey can add a professional look but should be used sparingly, such as a line separating your identifying information from the rest of the resume or an outside border. It’s important not to distract from the information on the resume. Color should only be used on paper resumes, however. 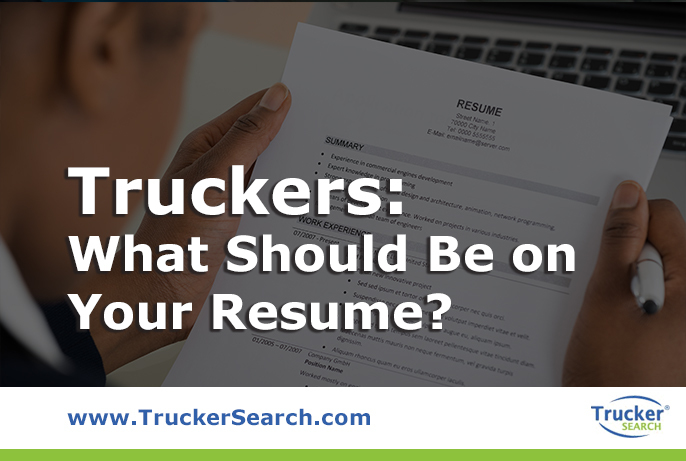 When applying on online sites such as TruckerSearch, resumes should be black and white only. 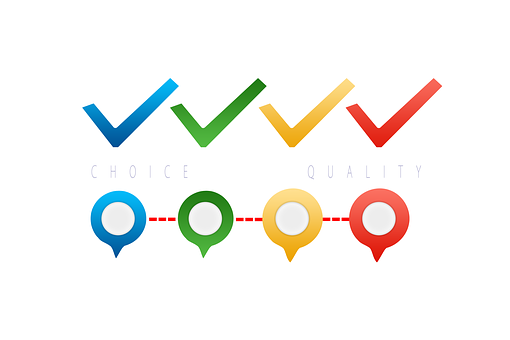 A color that you choose on your computer may not look the same at the other end for the hiring manager so it’s best to not risk it looking bad. Use legible fonts. Again, if you’re using unusual fonts, the hiring manager may not receive them the same way so you should stick with popular fonts such as Times New Roman, Arial, or Verdana. Keep the size at 12 points but you can make headings 14 so they stand out a little or make them bold, italicized, or capitals. Make sure there is some white space. If everything is crammed together, it will be difficult to read. At the same time, double-spacing will make it seem empty and resumes should be kept to one page, if possible. After your contact information, include a brief 2 or 3 sentence summary of who you are and what you can do for the business at which you’re applying. These sentences shouldn’t be too detailed, simply a couple of your main selling points. Truck driver with over 15 years of experience making on-time deliveries operating reefers. Proficient in light truck repairs and maintenance and possesses CDL as well as HAZMAT certification. Of course, all of these things should be highlighted within the body of the resume as well but the short opening paragraph should entice the hiring manager to read further. Here’s where you put the meat of your experience and qualifications. List your experience in reverse-chronological order as your latest experience is usually the most relevant. Read the description of the job you’re applying for and make sure that any of those experiences or qualifications that you possess are emphasized in the resume. You want them to know that you’re the applicant they’ve been looking for. Be specific as much as possible; don’t speak in generalities. A hiring manager wants to know what you can specifically do, not what you can generally do. Highlight your strengths. Ask yourself how you will benefit the company. It’s not just about your experience and qualifications (although be sure to include all of those! ), it’s also about what they can expect from you. On time. Safe driving record. Ability to lift cargo. Good customer service skills. Math skills. Have you trained anyone? What types of vehicles can you drive? They need to know you’re everything they’re looking for and more. After your experience and qualifications, include an “activities” or “interest” section. You may wonder why this would have anything to do with a job driving a truck but it does. If you do any kind of sports or weightlifting or running, it will show them that you’re fit. Long hours spent in a truck can cause health issues and they want someone who isn’t going to be out sick all of the time. If you’ve done a martial art in the past, include that. It shows that you are disciplined. Include any volunteer work you do. It shows you care about your community. Be selective, however. The activities section should be brief. Your resume should be an overview of who you are and what you bring to the table. It should be thorough yet to the point. At TruckerSearch, we know there are many great truck drivers out there looking for great jobs. We make it easy to post a resume for top companies to see. Or search our database for jobs and email them your resume directly. It couldn’t be easier. So polish up that resume and go to TruckerSearch today! Maybe college wasn’t for you. Perhaps the thought of going into serious debt for the foreseeable future turned you off to it or maybe it was four more years of school that didn’t appeal to you. What you’re left with are low-paying, dead-end jobs that don’t pay enough to support yourself, let alone even think about supporting a family. There is another option. Becoming a truck driver. You, behind the wheel, wind in your hair, no boss standing over you asking you if the fries are done. But driving a truck doesn’t pay much, does it? According to the Wall Street Journal, some private fleet drivers earned as much as $86,000 in 2017, up from $73,000 in 2013. Currently, there is a shortage of drivers and many Baby Boomers set to retire on the horizon which is driving up the salaries of CDL-trained drivers. As further incentive, some companies are offering significant bonuses―some in the tens of thousands range―for signing up with them, as well as excellent benefits packages. I need a special license, don’t I? Yes. Typically, you need a CDL (Commercial Driver’s License) which can be obtained in a couple of months or less and it usually costs between $3,000 and $7,000 depending on the school. Federal aid may help pay for the class if it meets their requirements. The good news is that some trucking companies are offering to pay the cost of your CDL training if you agree to work for them when you graduate. Isn’t it an unhealthy lifestyle? It doesn’t have to be. Driving is a sedentary job, as is sitting behind a desk staring at a computer monitor all day. Trucking companies realize this and are encouraging their employees to exercise more by installing walking paths at their place of business or starting basketball or softball leagues. Many offer wellness programs as part of their benefits packages that include discounted gym memberships. Truck stops are beginning to catch on as well by offering healthier food choices so you’re not stuck with unhealthy fast food. To take things a step further, Carnegie Mellon University has been designing trucks to have all of the comforts of home including small kitchenettes so truckers can cook healthier meals for themselves while they’re out on the road. Won’t I be away from home for weeks on end? Trucking companies are becoming more sensitive to the fact that drivers want more time at home so they can have a normal social life or start a family. Many are offering short hauls that run regionally. Add to that the changes in how consumers buy things and how quickly they expect to get their purchases, many retailers are building more distribution centers to get their products to their customers more efficiently, which means shorter runs for truckers. It’s lonely on the road, isn’t it? Long hauls can be lonely. But many trucking companies are open to truckers bringing a pet with them on the road. “Bring Your Dog to Work Day” can be every day! For long trips, technology has eased loneliness by allowing them to Skype with their family back home and bring along comforts like Netflix to pass the time. Truckers are friendly people and participating in trucker forums and other social media may allow you to meet some friends on the road. Don’t I have to be 21? Not necessarily. Currently, if you are under 21, you can get your CDL but you cannot drive across state lines. You may be able to find a company that can oblige until you’re 21. On March 21st, a bill was introduced in the House of Representatives that would abolish the under 21 rule. The bill requires that drivers between the ages of 18 and 21 log 400 hours of on-duty time and 240 hours of driving time with an experienced driver in the cab. Many feel this bill is just a common sense way to solve the driver shortage. Passage of the bill would be likely to relieve the shortage and also provide a solution for people who are looking to begin a good-paying career right after high school. Won’t trucks be automated in the future? The keyword there is future. There are many safety and legal concerns with driverless trucks, and even if these can be overcome, it doesn’t mean that they’ll be completely autonomous. Truckers may need to adapt to a different definition of what it means to drive a truck but this isn’t expected for many years down the road. No one claims that being a truck driver is an easy job but with all of the added pay and benefits currently being offered, it can be a lucrative one. And with TruckerSearch.com, you can post your resume for potential employers or actively search our vast database of available jobs. We make it quick and easy to find a good, high-paying job. Kick off your career in the trucking industry by going to TruckerSearch.com or call (888)254-3712 and answer the call of the open road! The talk around roadside inspections by law enforcement always seems to be about the nitpicky violations owner-operators receive. And, of course, so many believe they should just be able to get the “fix-it warning,” correct the problem and go on down the road. Read more here. The Owner-Operator Independent Drivers Association released a statement thanking the 30 U.S. Senators that recently signed a letter asking the federal government to reform the hours-of-service regulations for commercial truck drivers. Read more here. Trailer manufacturers are responding to e-commerce-fueled changes to the supply chain by expanding their oper­ations and ramping up customization. Read more here. Operation Safe Driver Week, an annual enforcement spree put on by the Commercial Vehicle Safety Alliance, is set this year for July 15-21. Read more here. A new Rhode Island law bans drivers from using hand-held wireless communication devices, like cell phones, while driving. The use of headphones or accessories that cover both ears is also not allowed under the new law, which goes into effect June 1. Read more here. Arkansas Highway Police working at the Alma Weigh Station have recovered over 570 pounds of marijuana during two separate commercial vehicle inspections this week. Read more here.